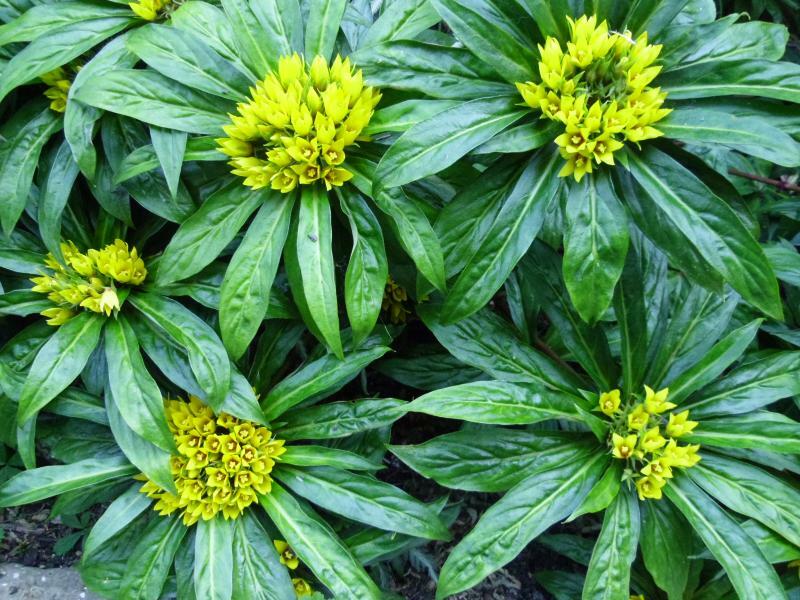 Lysimachia paridiformis stenophylla is a plant that still thrills and amazes me. 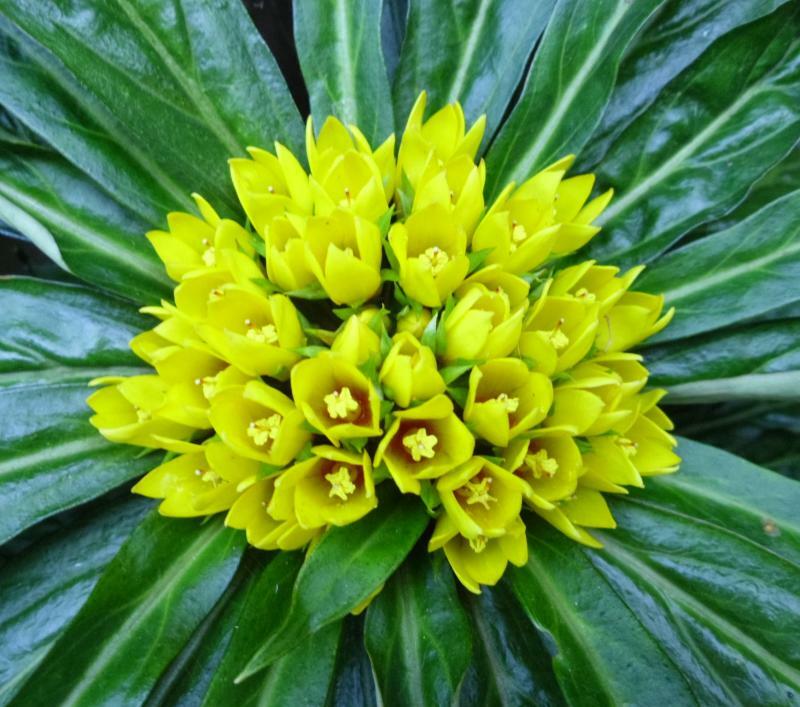 It is so unlike any other Lysimachia species, being a shade lover and behaving more like a hellebore than the more familiar spire forming perennials that most of us cultivate in our gardens. My plant came from my good friend Roy Lancaster quite some years ago now, and was collected in the wild in China by Mikanori Ogisu, but is still rare in cultivation. The unusual Lysimachia paridiformis var stenophylla grows best in moist soil in some shade and associates very well with Hellebores, hardy ferns and other ground dwelling woodland plants. There are a few different collection of this species but this is an amazing form with clusters of yolk-yellow flowers from July to September in dense clusters within parasols of deep green foliage. It is low growing but bushy perennial wider than tall at around 30 x 60cm. 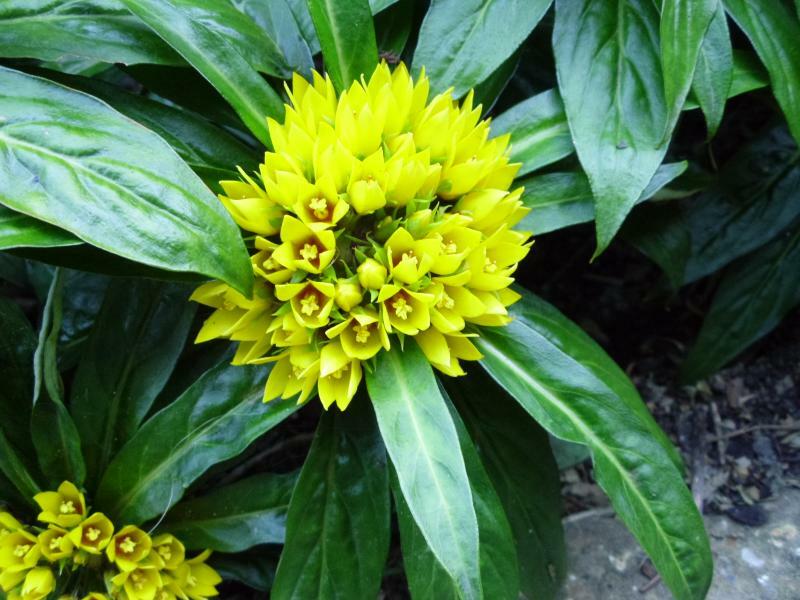 It is very hardy and is evergreen, but best treated like Helleborus x hybridus and removing the old leaves and stems once the new growth starts appearing in the spring. Good moist soil some shade and this species will thrive and amaze you also. Easily grown in average, medium, well-drained soil in full sun to part shade. Tolerates a wide range of soils except heavy, poorly drained ones. Prefers rich, moist soils with light to moderate shade. When foliage depreciates in spring, old stems may be cut to the ground level. Use as a ground cover perennial in woodland or semi shaded positions in borders.